ABUJA – The Federal High Court sitting in Abuja, on Thursday, struck out a suit asking it to stop any attempt to reconvene the Senate for the purpose of removing Dr. Bukola Saraki as the Senate President. Justice Nnamdi Dimgba terminated further hearing on the suit which was filed by two former All Progressive Congress, APC, Senators, Rafiu Adebayo and Isa Misau, following an application by the Attorney General of the Federation and Minister of Justice, Mr. Abubakar Malami, SAN. At the resumed hearing of the case marked FHC/ABJ/CS/843/2018, no lawyer appeared on behalf of the plaintiffs. Consequently, the AGF who was represented by Mr. T. D. Agbe, urged the court to strike out the case for want of deligent prosecution. The AGF further prayed the court to award a cost of N10million against the plaintiffs who he accused of filing a frivolous suit. He noted that the plaintiffs who were previously represented by a consortium of Senior Advocates of Nigeria led by Mr. Mahmud Magaji and Emeka Etiaba, were aware that the matter was slated for hearing. “We apply for a substantial cost to be awarded against the plaintiffs to teach them a lesson. This court is not a play ground, it is a place for serious business”, the AGF submitted. Counsel to both the Inspector General of Police, Mr. Kola Oluwole and that of the Department of State Service, Mr. Shimana Azeh, adopted the position of the AGF and requested that the case should be struck out. In a short ruling, Justice Dimgba acceded to request of the Defendants and struck out the case for want of deligent prosecution. The plaintiffs who are representing Kwara South and Bauchi Central, respectively, had alleged that some chieftains of their former party, APC, led by its National Chairman, Adams Oshiomohole and the AGF, had perfected plans to use security agencies to force Saraki to vacate his position as the Senate President. They applied for an order of interlocutory injunction stopping any impeachment proceeding against Saraki, pending the determination of legal issues they posed before the court. In a 13 paragraphed affidavit that was personally deposed to by Senator Misau, he told the court that the APC was collaborating with key security agencies and the AGF to ensure Saraki’s removal, notwithstanding the number of Senators in his support. The plaintiffs urged the court to among other things, determine whether, “In view of the combined reading of sections 50(1) (a), 53(1) (a) and 60 of the Constitution of the Federal Republic of Nigeria, 1999 (as amended) and Rules 12 (2) of the Senate Standing Orders 2015 (as amended), the Senate of the Federal Republic of Nigeria, has the powers to regulate its proceedings including the power to adjourned its sitting to a date certain? “Having regards to sections 50(1) (a), 53(1) (a) and 60 of the ‘ Constitution of the Federal Republic of Nigeria 1999 (as amended) read in coniunction with Rules 12 (2) of the Senate Standing Orders 2015 (as amended), whether any member of the Senate other than the President and Deputy President of the Senate can re-assemble the sitting of the Senate to an earlier or later date other than the adiourned date? As well as, “Whether by virtue of the provisions of sections 4, 5 and 6 of the Constitution of the Federal Republic of Nigeria I999 (as amended), the Defendants other than the 2nd and 3rd (Saraki and Ike Ekweremadu) are statutorily empowered to issue directives to the lst, 2nd and 3rd Defendants to reconvene the Senate of the Federal Republic of Nigeria after same was properly adiourned in accordance with the extant laws of the Senate of the Federal Republic of Nigeria”. Aside praying the court to declare that only Saraki or in his absence, Ekweremadu that has the powers to give any notice for the purpose of reconvening the Senate before September 25, the Plaintiffs urged the court to abort any move by any other authority, to recall the Senate. Cited as Defendants in the suit were the Senate, Saraki, Ekweremadu, Senator Ahmed Lawal (Senate Leader), Senator Bala Ibn Nallah (Deputy Senate Leader), Senator Emma Buacha (Deputy Minority Leader), Clerk of the Senate and Deputy Clerk of the Senate. Others were the AGF, the IGP and the DSS. The AGF had earlier challenged the jurisdiction of the high court to entertain the suit, even as he discribed the two lawmakers who recently defected to the Peoples Democratic Party, PDP, as “mischief makers”. The AGF maintained that the plaintiffs failed to show how Saraki’s removal would affect their personal rights. 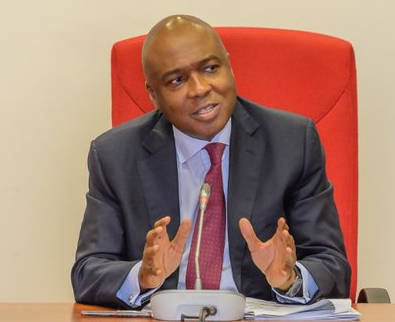 He further contended that the fact that Police summoned Saraki for interrogation with respect to the Offa robbery incident, was not sufficient ground for either the plaintiffs or Saraki himself to file action to consolidate his position in the Senate. “My lord, I do not think this court is so free to allow itself to be used by mischief makers like the plaintiffs in this matter. The present suit as constituted has not shown any wrong done to the plaintiffs. “We submit that the directives of the invitation of Dr Bukola Saraki to appear before the IGP for further investigation in line with paragraph 5(f) of the DPPF’s advice cannot create a cause of action in favour of either Saraki himself or the Applicants herein. “It is pertinent to state that if there is a threat to powers of the Senate President as conferred on him by the constitution and the Standing Rules of the Senate, the first person to complain should be the Senate President and not the plaintiffs herein”, the AGF stated in his preliminary objection dated August 27.